The Department also maintains thin sectioning and mineral separation facilities; reflected and transmitted light microscopes; fluid inclusion microscope; cathodoluminescence microscope; submicron and clay-silt-sand particle size analyzers; X-ray diffractometer; and field equipment for groundwater and geophysical work including resistivity meter, hand-held GPS units, seismic refraction/reflection equipment, a ground conductivity meter, two magnetometers, and a gravimeter. A well-field owned by the University is available for groundwater sampling and analysis. 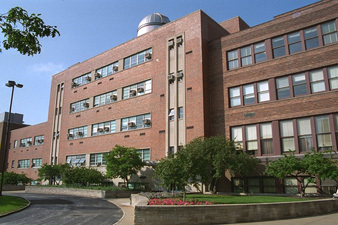 112 A. W. Smith Bldg.